Over the years, China's residential constructions mainly on-site manual wet operation, there are low production efficiency, construction period is long, high energy consumption, pollution, quality and performance is difficult to guarantee, short life cycle and other issues. The data shows that the amount of construction waste in China accounted for nearly 40% of total urban waste. According to the brick and concrete structure, reinforced concrete structures and other construction materials consumption rough statistics, each year China's urban construction waste generated up to 400 million tons. 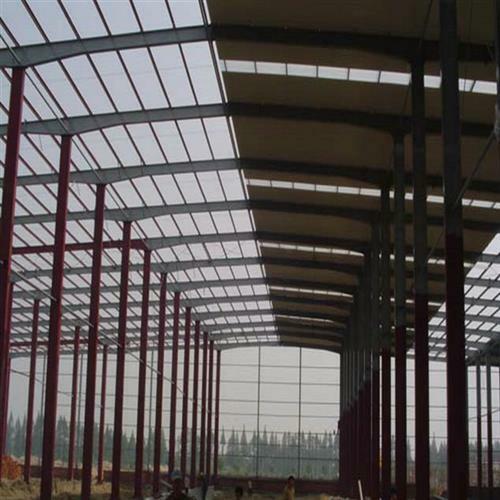 The steel structure buildings have reduced the environmental damage caused by the traditional building materials such as brick, lime, cement and excavated sand. The construction waste and the construction dust are greatly reduced, the alteration and demolition are easy, the recycle and reuse rate of materials High, many developed countries as an important way to reserve steel. Residential construction is the major resource consumption and greenhouse gas emissions, accounting for about 40% of the total social energy consumption. According to professional research institutions, reinforced concrete structure of residential carbon emissions of 740.6 kg / square meter, while the steel structure of residential carbon emissions of 480 kg / square meters, down about 35%. Because the large population, less livable land and urban population density of China, the inevitable high-rise residential buildings in China are multi- high-rise mostly, with the unique advantages of "high, large, light" that steel structure buildings have. Steel structure housing and the " Second Five - Year Plan " are closely related by the five environmental constraints in the environment and resources indicators: reducing water consumption per unit of industrial added value, reducing energy consumption per unit of GDP, reducing carbon dioxide emissions per unit of GDP, reducing the amount of arable land occupation and reduce emissions of major pollutants.